1. Windshield Wipers – Windshield wipers don’t last forever. In fact most windshield wipers need to be changed about every 6 months. If you want to get the most out of your wiper blades, the best way to add life to them is to keep them clean. Wipe the rubber edge off with a paper towel moistened with glass cleaner or warm water and dish soap to help keep them clean. 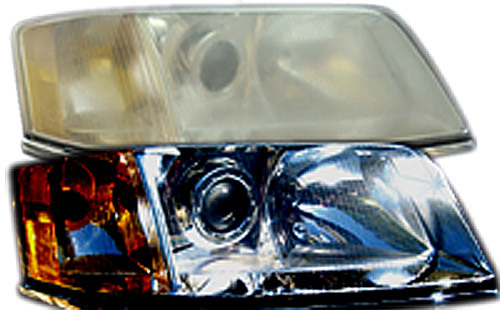 A clean headlight lenses can make a huge difference. 2. Treating Hazy Headlight Lenses - Most of today’s vehicles have clear plastic covers on the headlights that can become hazy from exposure to the elements over time, especially with the salt from the roads during the Michigan winters, as well as dirt and mud from all of the Livingston County back roads. You can pick up a head light restoration kit to spare you from having to replace the whole headlight reflector. They typically contain an abrasive cloth and a special finishing liquid to help you get your covers looking like new. 3. Light Bulbs – Changing a light bulb in today’s vehicles is pretty simple. Most are a simple twist and pull operation. Bulb specifications are usually found in the owner's manual. Consult a service manual or look online if access to the bulb isn't obvious. We carry replacement bulbs for all makes and models in our Auto Parts Stores. If you're replacing a halogen headlight bulb take care not to touch the glass with your bare fingers. Skin oils on the quartz glass are said to shorten its life. 4. Wash and Wax Your Vehicle – Your car, truck, or SUV is a work of art, help keep it that way by regularly washing and waxing it to help preserve that beautiful paint job. Your local car wash professionals can do a nice job cleaning it for you but we also recommend giving your vehicle a hand wash too. This allows you to get up close to inspect it for dents, scratches, and paint chips you might not have noticed otherwise. Spray waxes should be used weekly or for special occasions. Other waxes can be used less often, about every 2-3 months. 5. Touch-up Paint – Touching up small paint chips and scratches can save you bundles in the long run. At the Brighton Ford Service Center our paint specialist can help you find exactly the right color to match your vehicles paint job. 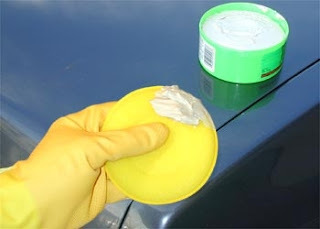 Once applied you will want to let the paint dry and cure for about 72 hours before washing or polishing the vehicle. 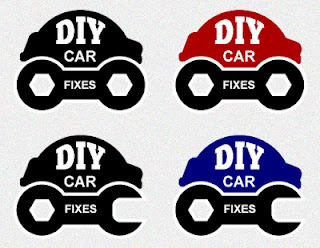 We are your automotive service and repair experts, so feel free to contact us with any questions on your car maintenance projects. Big or small we can handle them all! 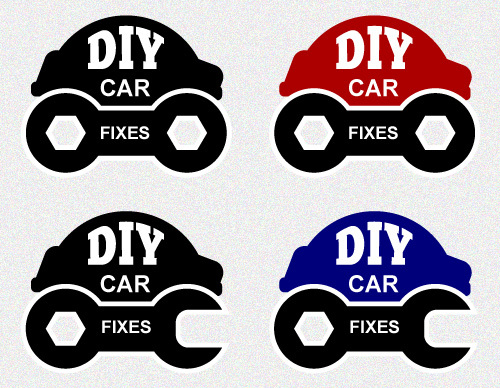 Try to educate yourself on the small, routine car maintenance tips yourselves. Before going to the dealer for rectification of every minor problem, try to check the problem yourself. If you have more than one car, then you should try to drive the one which has a better fuel efficiency, wherever possible. This can also help you save money.